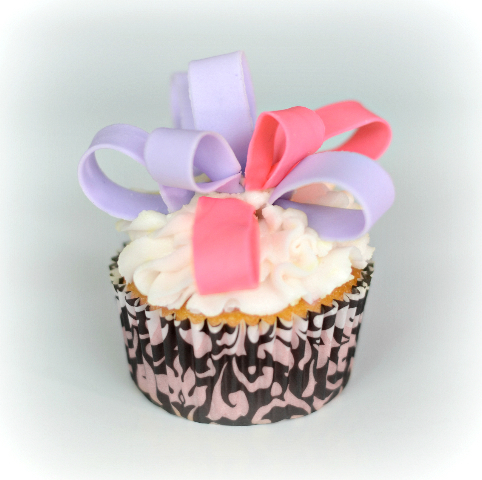 Have you ever seen cakes that look like presents with a full bow loop on the top? Here is a tutorial on how to actually make those bow loops! 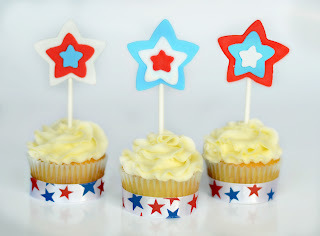 The next two Tutorial Tuesday's I will be showing you how to assemble them on a cake and cupcakes. I love the look that these full bow loops have. You can also add some of these fondant streamers in between some of the bow loops to make it more festive! There are many different ways of making these bow loops, but this is the way that I have been most successful. Feel free to ask any questions if I was unclear of how to do one of the steps! 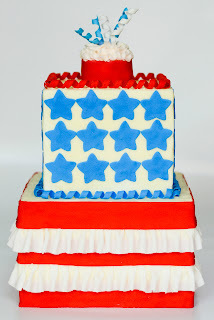 Are you looking for a festive dessert for your 4th of July celebrations tomorrow? I can help with that! Click on the pictures to take you to these tutorials!